With the hail storms, strong winds and harsh weather our city faces during the cold seasons, your home’s siding faces many extreme outdoor elements. If the exterior of your home is left exposed to the elements, rain, and water could begin to rot or warp the structural beams that keep your home standing. This damage can seriously harm your home's structural integrity. Our team will always be respectful of you, your family, and your home. 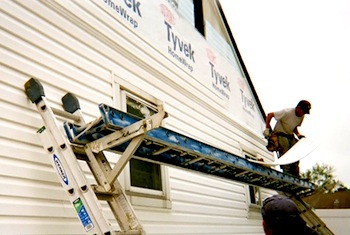 We can repair your home's siding efficiently and conveniently. We will ensure that your home looks beautiful and is properly protected when we are complete. We will keep you informed during every part of the repair process. If you ever have any questions, we are ready to answer them. Whether your home has been damaged due to a tree falling or maybe it has developed cracks over the years, All Storm Solutions can repair your home to it’s original condition! We will make sure that your home is protected from any storm damage that could happen to your home. Having protective siding is a necessity for any home. No matter what size of the damage, we guarantee your home will look brand new with our siding repair services! Call All Storm Solutions more information on how we can provide siding repair services to your home or property!